Some lawn problems that plague yards later in the year can be avoided or controlled by taking some steps in early spring. Here are some tips to help you get the most from your lawn care investment. 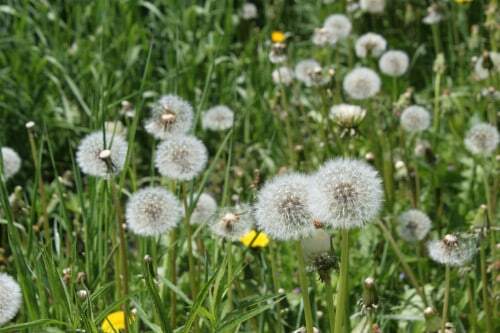 Young children love dandelions, but before long these flowering weeds will be popping up across your lawn. Early spring is the best time to apply a pre-emergent herbicide to Zoysia and Bermuda grasses. This will keep the germinated seeds of weeds from growing. Always water-in pre-emergent herbicide. In early spring, we recommend spot treating weeds in St. Augustine grass. Spot treating is a better choice for St. Augustine because using a pre-emergent can slow the recovery of the grass after the winter season. Early spring is the best time of year to prevent and control brown patch and other lawn fungi. Apply fungicide prevention treatments to St. Augustine around the beginning of March. For our customers, we use a well-balanced fertilizer that inhibits fungus growth and helps the St. Augustine grass recover from winter weather. Whether you hire a lawn service to treat your lawn or if you do it yourself, you must add plenty of water after applying a lawn product. The water moves the product from the surface of the grass down to the root system. If rain is not predicted within one or two days of the treatment, set lawn sprinklers to soak the grass with 1” of water. If you are looking for professional, regularly scheduled lawn care service, consider Weedex. Request a free quote and find out how we can help give you a better-looking lawn without all the guesswork. Want to stay connected with Weedex? Find us on Facebook.